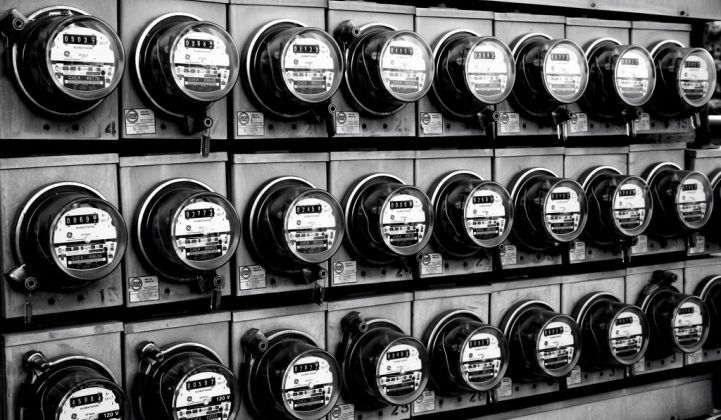 Widespread deployment of EVs, heat pumps, and other electric technologies could increase U.S. electricity consumption by nearly 40 percent by mid-century, according to a new government report. The report, the second in the National Renewable Energy Laboratory’s Electrification Futures Study series, analyzes the demand-side impacts of a transition to electricity in transportation, residential and commercial buildings, and industry through 2050. Declining Battery Storage Costs Raise Questions About the Role of Natural Gas, Clean Energy Group. There are more than 1,000 peakers currently in operation across the U.S. Most of these are powered by natural gas, and many of them are located in communities already burdened by poor air quality and public health issues. Because peak events often don’t last very long, typically no more than a few hours, batteries are well-suited to step in as a peak demand resource (they’re already being widely deployed to manage customer peak demand). A new report from the Applied Economics Clinic (AEC) estimates Indiana’s 2014 decision to do away with its energy efficiency requirements cost consumers more than $140 million, slashed electricity savings and reduced job growth in the state. Think solar isn’t popular? Just turn on your TV! Solar energy has taken over media campaigns in the past decade as many companies are looking to build a more sustainable brand. The rise in popularity of solar power and renewables has driven these organizations to make clean energy the centerpiece in multi-million dollar advertising campaigns. 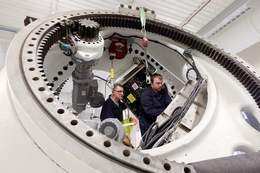 This entry was posted in NewsBlog and tagged energy efficiency, energy storage, National Renewable Energy Laboratory (NREL), Nebraskans for Solar NewsBlog, renewable energy news, Sholes Wind Farm in Wayne and Stanton Counties on July 30, 2018 by Helen Deffenbacher. 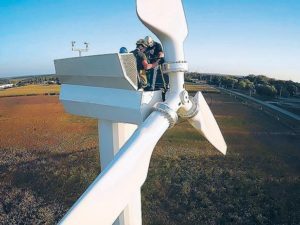 ALEDO, Illinois — A Nebraska company is looking to expand its renewable energy capabilities into the Quad Cities area. The company, Bluestem Energy Solutions reached out to city leaders in Aledo, Illinois to explore the possibility of installing a wind or solar farm in the area. According to Chicago Tribune, new state requirements and incentives have peaked the interest in renewable energy developers. Read more here. The Illinois’ Future Energy Jobs Act, now in effect, is an outstanding, innovative clean energy initiative that will likely attract the attention of more and more renewable energy developers in the months and years ahead. Substantially expand energy efficiency programs to drive customer savings and also expand options for commercial, industrial, and low-income customers. Commit up to $750 million for low-income communities to save money and help them benefit from clean energy. Protect 4,200 jobs and preserve $1.2 billion in economic activity annually. year – in funding for renewable resources, including new wind power, large-scale solar power, and rooftop and community solar. Position Illinois as a leader in zero-carbon electricity. Provide job training and create thousands of clean energy jobs in energy efficiency, energy innovation, and renewable power industries. Protect consumers through a 25-cent monthly cost impact cap for residential customers through 2030 and a 1.3% cap for business customers. This entry was posted in Nebraska / Midwest News and tagged Bluestem Energy Solutions, clean energy jobs, energy efficiency, Illinois' Future Energy Jobs Act, job training, Midwest renewable energy jobs on May 3, 2018 by Helen Deffenbacher. This entry was posted in Energy Conservation, Nebraska / Midwest News and tagged energy efficiency, Nebraska Energy Office, Nebraska Energy Quarterly, Nebraskans for Solar NewsBlog, renewable energy on March 27, 2018 by Helen Deffenbacher. It’s rare to see millennials attending a PUC hearing, or even someone not on the payroll of an organization involved in the process. But administrative law judge Ann O’Reilly accepted the argument by Youth Climate Intervenors that their generation will disproportionately feel the burden of climate change. “In a landmark decision she granted us standing,” said Akilah Sanders-Reed, the 23-year-old who founded the group. “She acknowledged we (young people) had a stake in it and that we deserved a seat at the table. 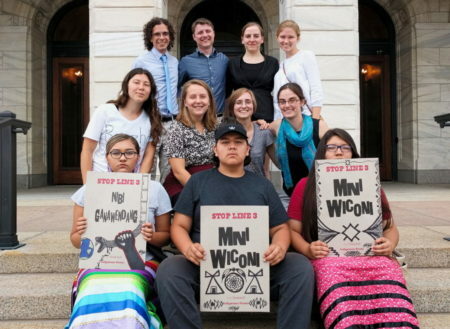 What that means is that the Youth Climate Intervenors have the same rights in that courtroom as Enbridge Energy does.” Read more here. Energy efficiency as a resource: The power of getting more from less, Utility Dive Guest Opinion by Ryan Katofsky, vice president, industry analysis, at national business group Advanced Energy Economy. This is the third in a 7-part series from AEE that addresses how the power sector can successfully transition to a 21st Century Electricity System. South Portland starts farming solar energy, The Forecaster. The new solar array is at the city’s 34-acre capped landfill at 929 Highland Ave., behind the transfer station and new public services facility. This entry was posted in Nebraska / Midwest News, NewsBlog and tagged climate action, climate change, energy efficiency, energy storage, renewable energy news, Youth Climate Intervenors on October 23, 2017 by Helen Deffenbacher. 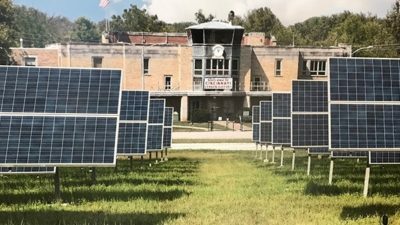 The array would cover up to 150 acres of city property, including Lunken Airport, and help power things like the police department and City Hall. City officials hope to transition to 100% renewable energy by 2035. Read more here. 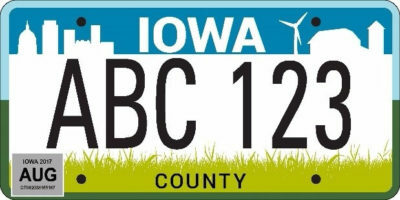 This entry was posted in Nebraska / Midwest News, NewsBlog and tagged electric cars, energy efficiency, Iowa's new wind turbine license plate, Midwest renewable energy development, Nebraskans for Solar, Xcel achieves wind-energy generation milestone on September 29, 2017 by Helen Deffenbacher. The college has updated its electrical system over the last three years . . . Buildings on campus are making the switch to LED lighting, and geothermal cooling and heating was installed in the Jindra Fine Arts building in 2003 and the T.J. Majors building in 2016. Delzell Hall and the Theatre are under renovation and geothermal installations are part of that process. The college recently installed energy metering on their electricity, gas, steam and chilled water services to benchmark usage and determine how to maximize efficiency. So far, these efficiency efforts have resulted in more than $25,000 in rebates from OPPD. Read more here. 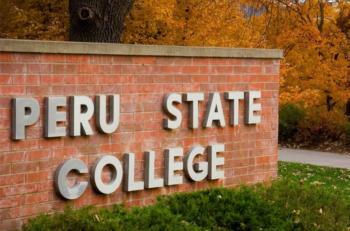 This entry was posted in Energy Conservation, Green Campuses, Nebraska / Midwest News and tagged energy efficiency, energy savings, green campuses in Nebraska, Nebraska campuses reducing their carbon footprints, OPPD, Peru State College, renewable energy on May 31, 2017 by Helen Deffenbacher. The committee, which will be open to SEIA’s Kilowatt Plus-level members and above, will focus on all solar market segments in Illinois, Indiana, Iowa, Michigan, Minnesota, Ohio and Wisconsin. These seven states installed dramatically more solar capacity in 2016 than they did in 2015, and GTM Research projects that these states will install more than 1 gigawatt of capacity by 2021, up from 73 megawatts in 2015. Read the entire media release here. This entry was posted in NewsBlog and tagged community solar, energy efficiency, green energy jobs, Nebraskans for Solar, renewable energy, U.S. renewable energy & energy efficiency news on February 10, 2017 by Helen Deffenbacher. KCP&L was the first utility in the country to own and operate a commercial-scale wind facility in the state of Kansas. They’ve also continued looking into methods of harnessing solar energy, and partnered with the Kansas City Royals to place a 120-panel solar system at Kauffman Stadium. KCP&L also signed a 10-year agreement to buy renewable energy from Central Nebraska Public Power and Irrigation District’s three hydroelectric plants, the first addition of hydro power to their energy mix. Ameren Missouri currently operates three hydroelectric energy centers. Ameren Missouri has also explored a number of energy alternatives and recently received the green light by the Missouri Public Service Commission to begin their pilot program on solar energy. Read more. 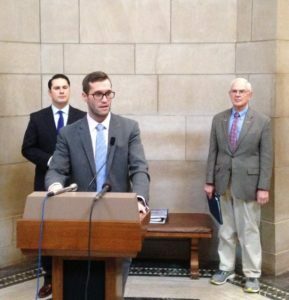 State lawmakers serving on a special legislative committee say Nebraska needs to adopt a state climate action plan. Sen. Tyson Larson of O’Neill, co-chair of the committee, says he wants to see the committee re-authorize so it can pursue recommendations finalized just prior to the legislative session. “In terms of our recommendations for legislation, I think members of this committee or the legislature will see pieces of legislation that are affecting these things,” Larson tells reporters during a news conference at the Capitol. 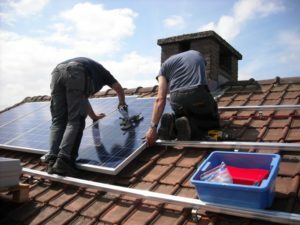 This entry was posted in Energy Conservation, Nebraska / Midwest News, NewsBlog and tagged Ameren Missouri, clean energy, energy efficiency, Kansas City Power & Light, Missouri Coalition for the Environment, Missouri Sierra Club, Nebraska LR 455, Nebraska Radio Network, Nebraskans for Solar, Renew Missouri, The Missouri Times on December 30, 2016 by Helen Deffenbacher. Nebraska is making another stride on efficiency, launching an initiative to measure – and eventually reduce – the energy used in buildings throughout the state. Last month, the federal Department of Energy preliminarily awarded the Nebraska Energy Office $300,000 to begin benchmarking energy use in all 3,762 state-owned buildings. The work is expected to get underway by early 2017. While the project will begin with state-owned buildings, David Bracht doesn’t necessarily see it stopping there. He directs the Nebraska Energy Office, which will manage the use of the federal funds. 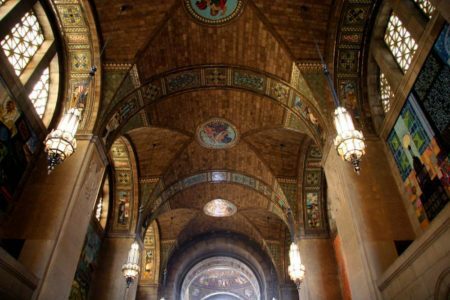 As a second step, he anticipates “developing an energy performance benchmarking policy that we can offer to local governments to encourage their improvement in energy efficiency as well.” Click to continue reading. Photo by joevare / Creative Commons. Interior of the state capitol building in Lincoln, Nebraska. This entry was posted in Energy Conservation, Nebraska / Midwest News, NewsBlog and tagged energy efficiency, Karen Uhlenhuth, Midwest Energy News, Nebraska Energy Office, NEO Director David Bracht, U.S. Department of Energy on September 14, 2016 by Helen Deffenbacher.